You already know Good Morning Snore Solution looks peculiar, but in a really cool way. You know it is designed to help you stop snoring, and you have likely even read countless reviews singing its praise, but what do you really know about the product. 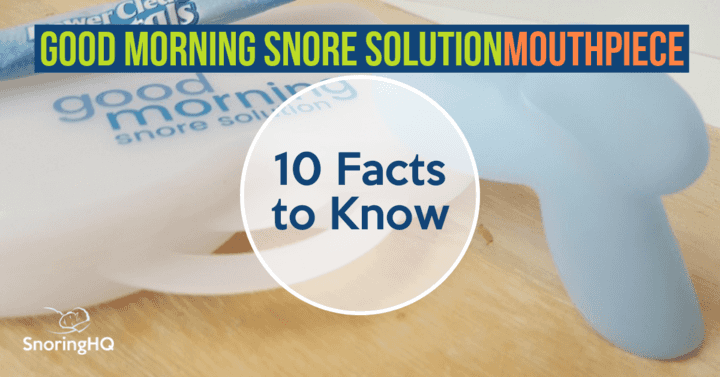 I cover most info in my full Good Morning Snore Solution review, but are a few facts you should know before purchasing this tongue retaining device. Can be worn with dentures. Since it sits between your gums and lips, you don’t need teeth to hold them in place. 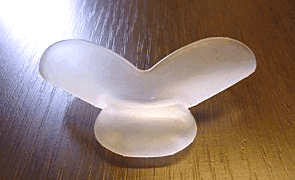 GMSS is BPA-free and made of a soft and pliable medical-grade material. A dentist is behind its unique design and another dentist founded the manufacturer that makes the product. Both dentists are from Calgary. This device has an average lifespan of around one year, which is considerably longer than many other products. The device suctions to the end of your tongue to stop it from falling back towards your throat when you fall asleep. You don’t need to see your dentist for a prescription to order one in the United States, Canada, Australia, and the United Kingdom. The product is backed by a 30-day money-back guarantee. Temporomandibular joint disorder (TMJ) pain is not caused or worsened by this product. You do have to be able to breathe through your nose to wear this device. 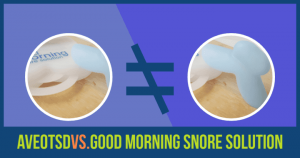 View a comparison of MAD-TRD-and My Snoring Solution. GMSS is cleared by the Australia Department of Health and Aging, United States Food and Drug Administration, and Canada’s Therapeutic Products Dictorate. No fitting process is needed since GMSS doesn’t sit in your mouth. It truly is a one-size-fits-all product. Although it is one size fits all, Good Morning Snore Solution has a slightly smaller young adult model as well. Make sure to check out my other snoring mouthpiece reviews as well! Where Can You Buy Good Morning Snore Solution?